Warner Bros. Home Entertainment has increased its run of Batman: The Complete Animated Series Deluxe Limited Edition to 70,000 to accommodate overwhelming demand for the most anticipated Blu-ray box set release of 2018. Remastered for the first time since its broadcast airing from 1992-1995, the stunning box set for $112.99 SRP will be available on October 30, 2018. The impressive Batman: The Complete Animated Series Deluxe Limited Edition package features approximately 2,700 minutes of entertainment spread over 10 Blu-ray discs, plus the two bonus discs – not counting 11 specially-selected episodes with audio commentaries by cast and crew. In addition, Batman: The Complete Animated Series Deluxe Limited Edition includes an exclusive ensemble of collectibles highlighted by three Funko mini-figurines (Batman, Joker, Harley Quinn) and seven beautifully-designed lenticular art cards. The entire box set is housed in a stunning layflat-book with a dazzling slipcase. And a digital copy of all 109 episodes is included in the box set. Produced by Warner Bros. Animation, the Emmy Award-winning series captured the imaginations of generations, setting the standard for super hero storytelling for the past quarter-century with its innovative designs, near-perfect voice cast and landmark approach to DC’s iconic characters and stories. 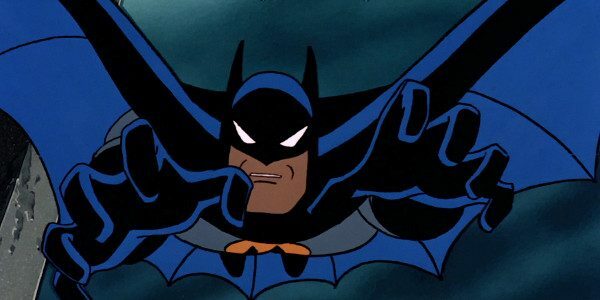 Batman: The Complete Animated Series Deluxe Limited Edition box set includes all 109 thrilling episodes, plus two bonus disks containing the recently-remastered, fan favorite animated films Batman: Mask of the Phantasm and Batman & Mr. Freeze: SubZero, The box set’s premiere bonus feature is, The Heart of Batman, an impressive 90-minute documentary on the making of Batman: The Animated Series that includes interviews with nearly three dozen members of the cast and crew, detailing the intricacies of production behind the landmark animated show.